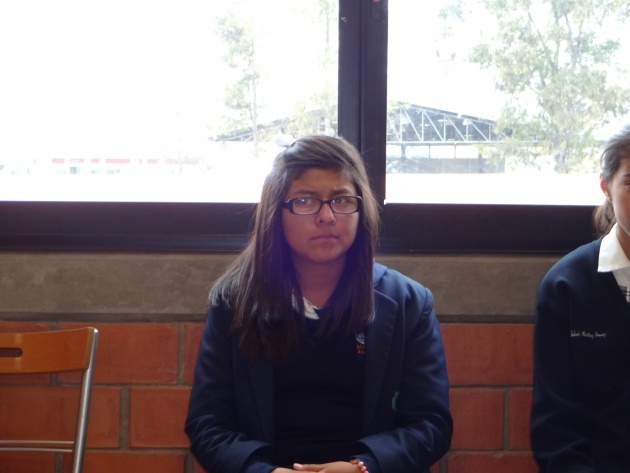 Last week Adriana and I went to Mano Amiga of Chalco School, Adriana is my friend who introduced me to Film Annex and she have not been to the school yet. We arrived and were received by Lilia Garelli, the school director, who gave us a tour. We began with preschool kids, cute litlle 3 year old girls and active boys greeted us with the biggest smile. They were eager to pose for the pictures, we entered an elementary classroom and Lilia told the kids that Adriana lived in New York and they all asked questions in english to her. We continued to middle school, but before we visited the auditorium that was finished thanks to a very generous donor from New York, along with a baseball and soccer fields. Girls were playing sports in the field while we visited the classrooms for middle school and the computer labs. After that Lilia told us she arranged a meet and greet with the 12 students that are starting the translation program with Film Annex. The 12 of them every friday go to the computer lab to work on their translation with their english teacher for support. 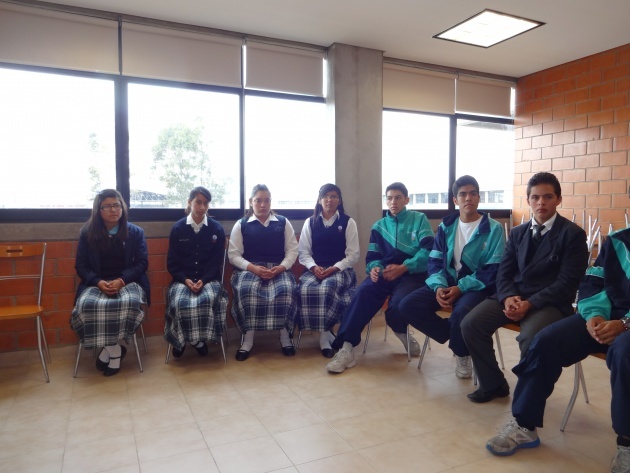 From left to right: Maria Jose, Thelma, Geovana, Evelyn,Gonzalo, Ivan, and Bryan during our meeting. Nervous and excited we arrived to the meeting room and one by one the students came in. They were very excited too about talking and meeting with us. First Adriana explained the story behind Film Annex and answered questions of the students. One by one we asked them what did they tought of the blog they had to translate. Surprisingly none of them spoke of the technical issues of doing a translation but of the subject of the blog and what impact it make to their lives. They all have translated one blog and all of them have been revised and published. Diego their english teacher who chose the blogs told us he chose empowering women blogs for the girls and internet and computer related blogs for the boys. Overall all of them, boys and girls were really happy and inspired to talk about the blogs. For us the program is a way to help them pay their tuition with a scholarship, for them as Mari Jo said it is a way to meet and know places and cultures around the world through the website and social media that otherwise will be imposible for them. Extremely inspired and happy we said goodbye to them and promised to come back to the senior graduation in June 2014. 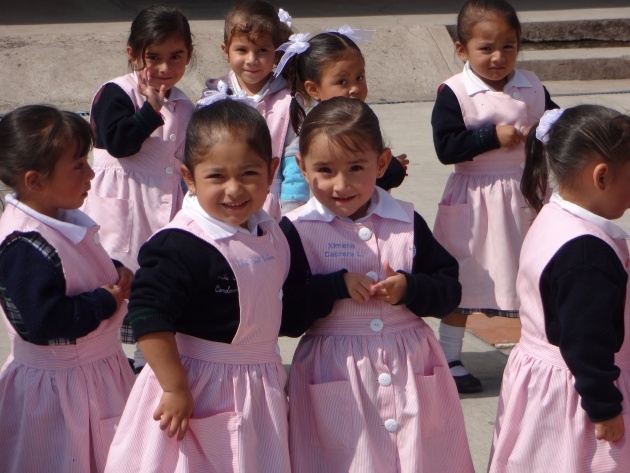 We felt so thankful to be a part of the growth and development of these young people that are the future of Mexico. Young students with education, knowledge and power to make a better future for them, their families and their community. The team: Luis Armando, Lilia Garelli (Principal of the School),Lilian, Maria Jose, Thelma, Giovanna, Noemi, Annick, Evelyn, Adriana, Gonzalo, Bryan, Ivan.